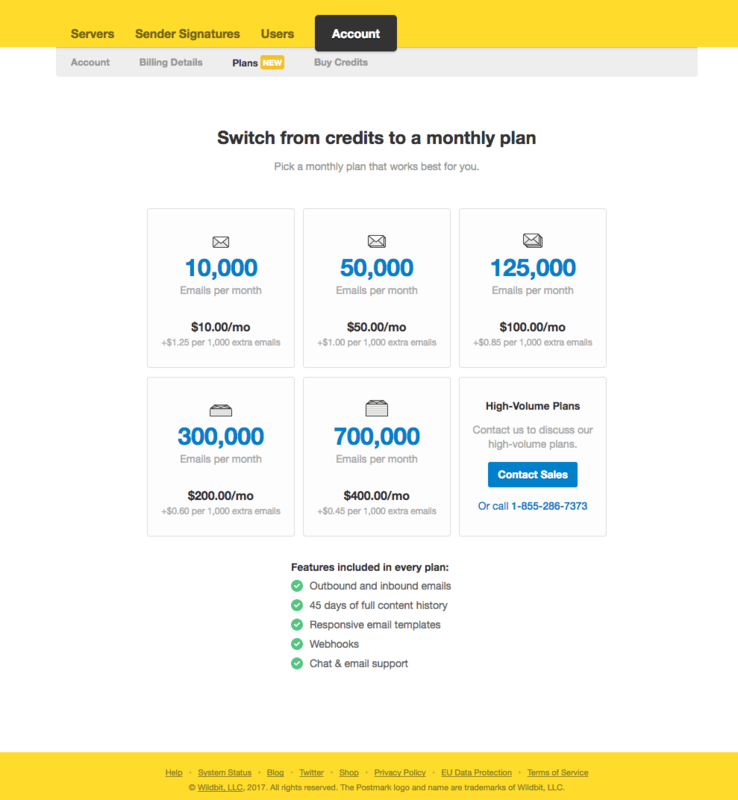 How do I switch from a Credits based account to a Monthly Plan? When you choose a new monthly plan and have a balance from a credits buy back you will not get charged for your new monthly plan until the credit balance has been fully used up. If you have a credit balance of 0, negative or have never made a purchase simply choose a new plan and enter your credit card details. You will be moved to the new monthly plan immediately and charged at this time. Pease note that even if you have made a credits purchase in the past you will be required to enter your credit card details to move to a monthly plan with no exceptions. How does Monthly Pricing work? Does Postmark Have Monthly Plans/Pricing? 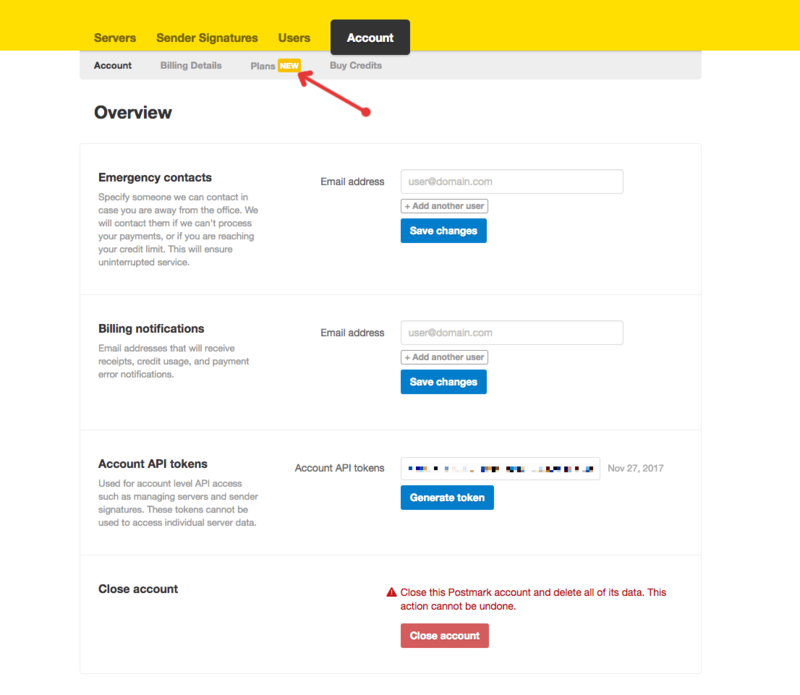 How do I customize a receipt & add additional email addresses for receipts?